Peripheral technology is far more advanced! Today, MONOCHROME’s video invites you on a trip to Lucerne, Switzerland, the home of Carl F. Bucherer – and close to the brand’s manufacture in Lengnau. 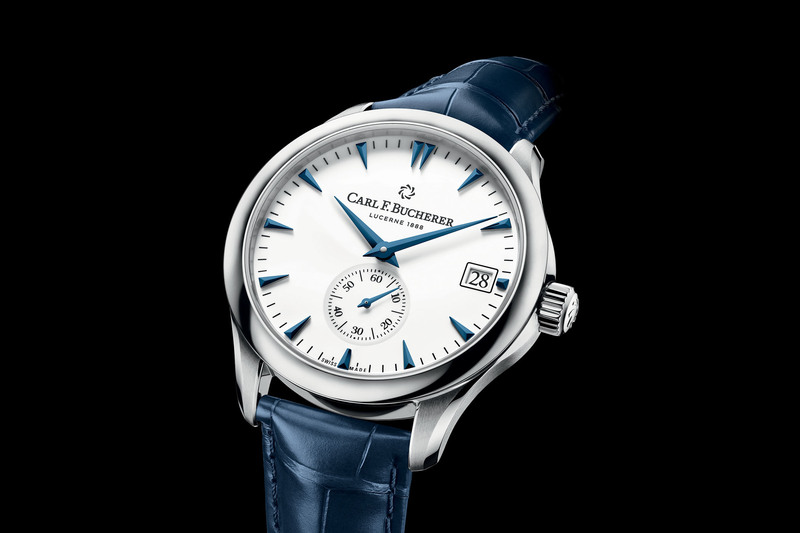 One of the unique characteristics of Carl F. Bucherer is the use of a peripheral rotor, a winding mechanism that rotates around – instead of on top of – the movement and doesn’t obscure the view. 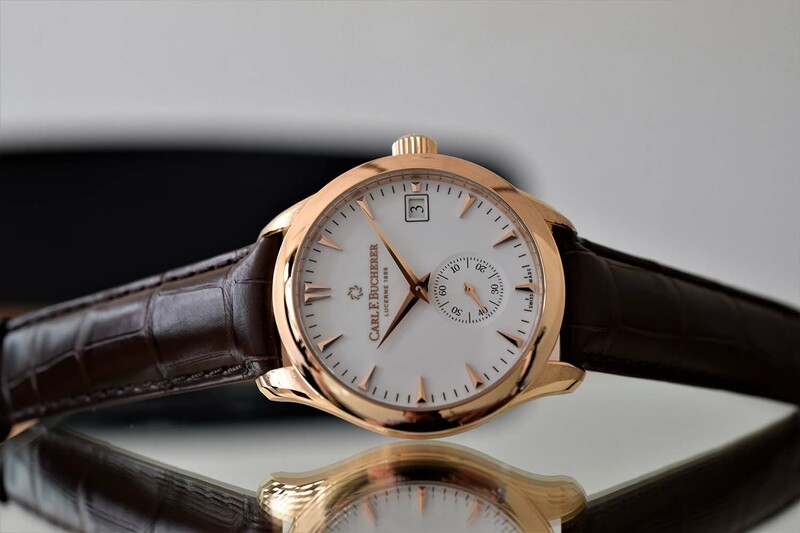 This technology, patented in the 1950s, has been the brand’s signature complication for close to 10 years now – and Carl F. Bucherer has to be credited as the brand that brought the concept to modern serial production. Today, we will take a close look at the new Carl F. Bucherer Manero Tourbillon Double Peripheral, which not only uses the peripheral technology for the winding system but also for its tourbillon architecture, a world’s first and a Carl F. Bucherer in-house development. 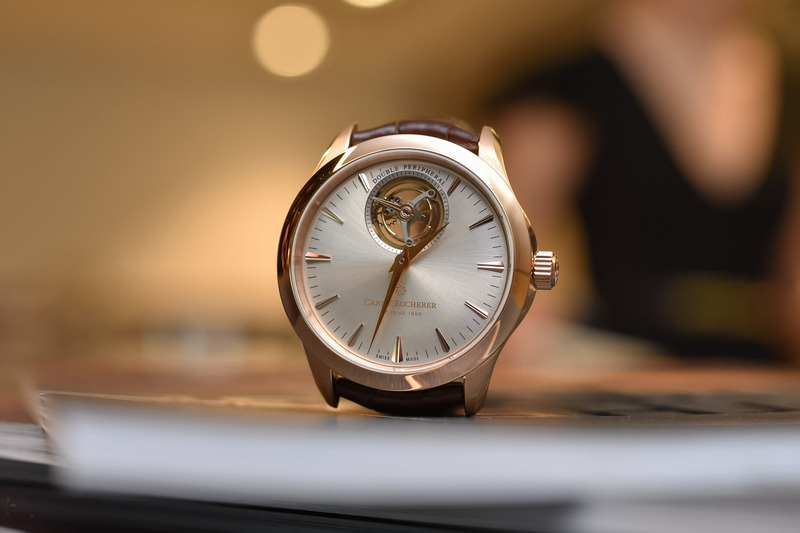 In this new in-depth video, we will be talking to Markus Kaiser, Head of Product, Samir Merdanovic, Head of Manufacture, and Sascha Moeri, CEO of Carl F. Bucherer. 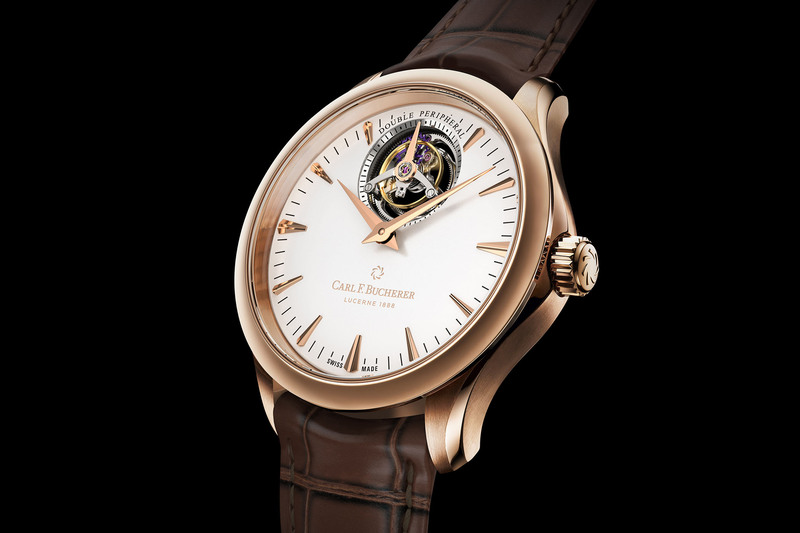 What makes the Carl F. Bucherer Manero Tourbillon Double Peripheral so special? Why “Double Peripheral”? First of all, it relies on a peripheral rotor to wind the movement – with an oscillating weight mounted on the periphery of the movement and not on top of the movement, as with most automatic calibres. But that’s not the biggest achievement here. The second “Peripheral” complication lies in the tourbillon. There are (were actually) mainly two ways to build a tourbillon. A classic architecture relies on a cage held in place by two bridges – one on top, one below (like this). 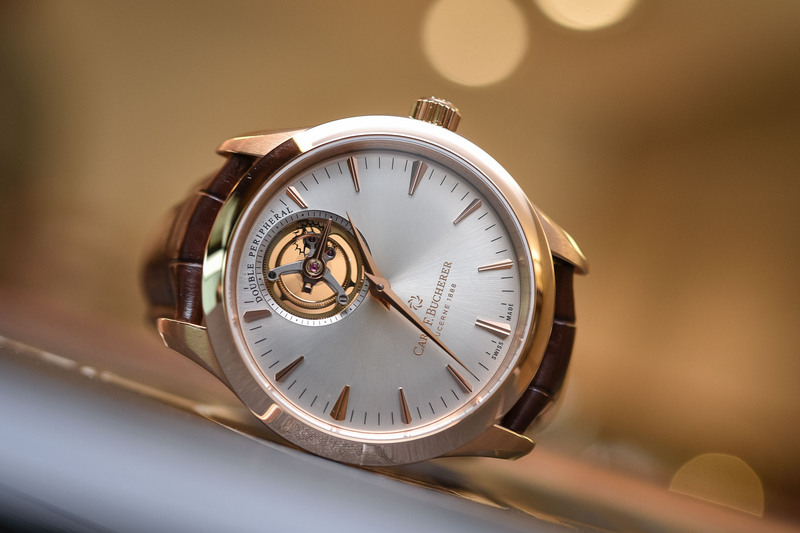 The “Flying” tourbillon is different as it is cantilevered, meaning that it is fixed to the movement by means of a single bridge, on the back side – thus with the impression that the regulating organ is floating on the dial side (like this). 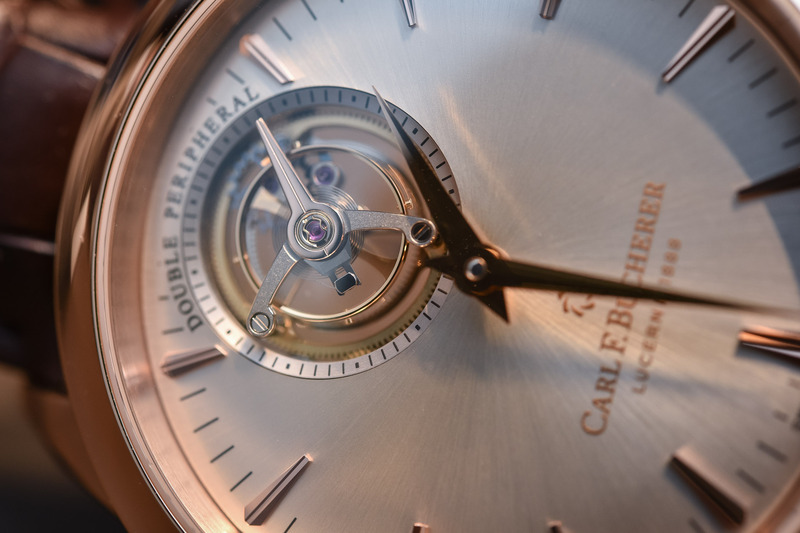 What Carl F. Bucherer has done is to create a tourbillon cage that has no bridges – a sort of “super-flying tourbillon” with no visible bridges holding the mechanism in place. This was made possible by using the peripheral technique, applied to another part of the movement. The tourbillon cage is actually supported peripherally by three ceramic ball bearings, which ensure a stable connection, precise guidance, and smooth running. Visually, this gives it the appearance of floating inside the case – no bridge on top, no bridge on the caseback, and a tourbillon cage that is voluntarily raised on top of the dial to make it even more impressive. 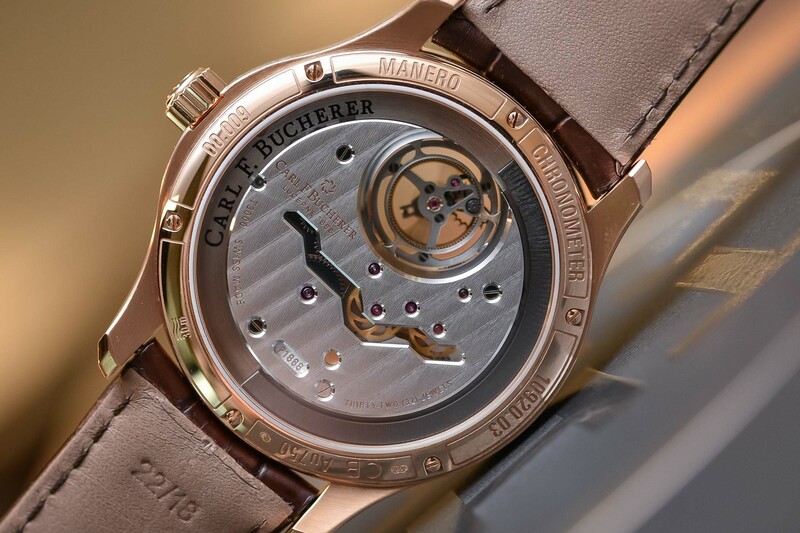 This is undoubtedly one outstanding technical development – and as always, if you want to have the full story about this Carl F. Bucherer Manero Tourbillon Double Peripheral, watch the video at the top of this article! 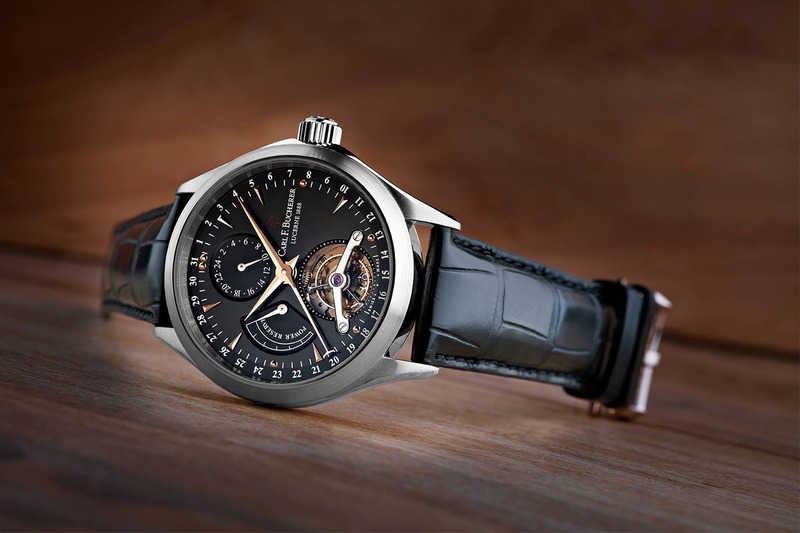 Carl F. Bucherer has announced its admission to the Fondation de la Haute Horlogerie – or FHH. The Foundation is committed to the needs of the historical heritage of Haute Horlogerie. Its assignment is to emphasize the art and skill of their craft through intensive public relations and to develop solutions for industry-wide problems. The FHH also organises the SIHH. The admission of Carl F. Bucherer to the FHH is a recognition of the impressive technical skills deployed for a decade by the brand, with the creation of a manufacture and in-house movements.